In his next to last film, Tod Browning revisits The Unholy Three (1925) territory, with a surreal twist. 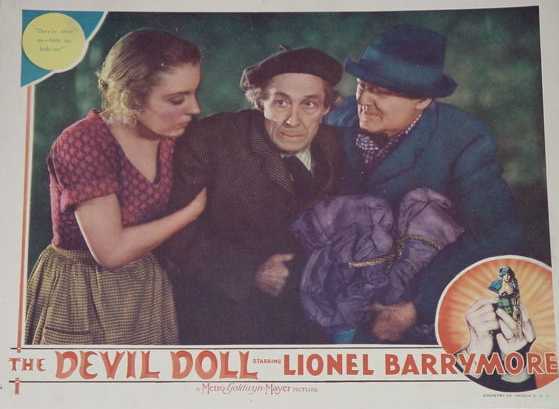 The Devil Doll (1936) is based off Abraham Merritt’s novel “Burn, Witch, Burn” with the screenplay by Guy Endore, Erich von Stroheim, and Browning. 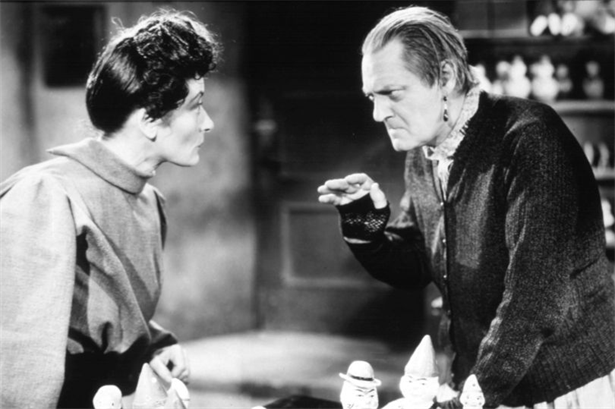 Lionel Barrymore, who had a long collaborative history with Browning, stars as escaped convict Paul Lavond. 17 years earlier, Lavond had been sent to prison after being framed by three banking partners. Lavond has escaped with a fellow convict, Marcel (Henry Walthall, another Browning regular) who just happens to be a mad scientist. Together, they make it to Marcel’s home and wife, Malita (the hammy Rafaela Ottiano), who also is, conveniently, a mad scientist. Marcel dies, but not before showing Lavond the scientific discovery that he and Malita have been working on for years. They are able to shrink animals and people to a sixth of their normal size. Considering all the problems with world food shortage, anyone could see the value of this discovery(!). Anyone, except Lavond, who is a bit leery when he finds out the shrinking process wipes out memory cells and self-will. The three bankers are the Unholy Three, the social norm in a reprehensible trinity driven by love of money. Lavond, Malita and Marcel represent the three societal outcasts who are despised and rejected of men. Browning is committed to making sure we root for the underdog, quite the reversal of contemporary, evolved reality shows that edify the top, affluent dogs. 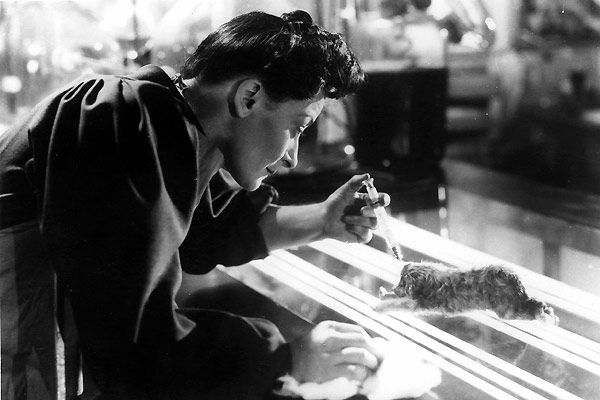 Seeing a new potential for his revenge, Lavond is accompanied by Malita and a case full of shrunken critters in hand. 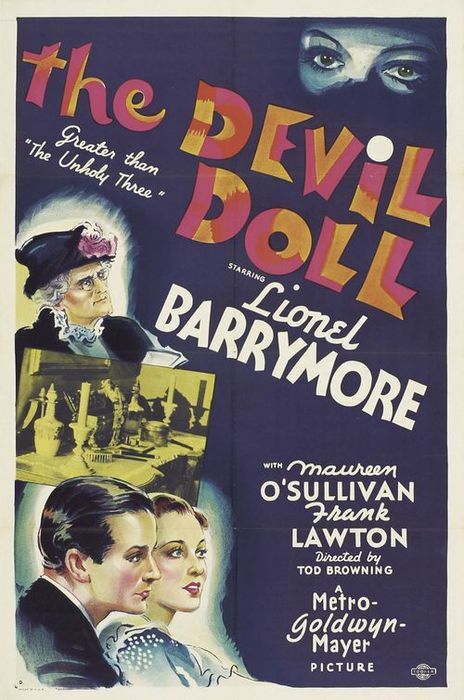 Lavond sets out on an Edmond Dantes adventure, but considering this is a Tod Browning production, Lavond hardly dons a chivalrous Robert Donat persona. 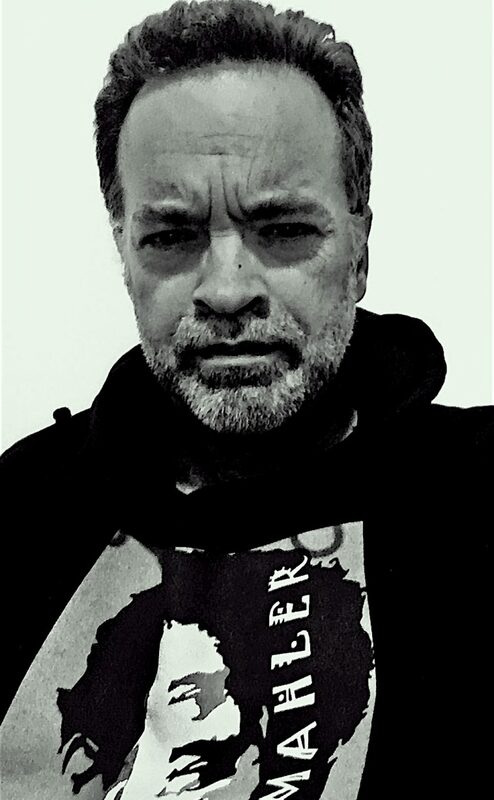 Rather, he gets in old lady drag (ala Chaney in The Unholy Three) and takes on the identity of Madame Mandilip; proprietor. With a couple of six inch Tweedledees, Lavond, in his best Sweeney Todd fashion, opens up a doll shop (rather than a parrot shop or pie shop), exacts revenge, steals jewelery (which he hides in a toy, just like in Unholy Three) and sets out to find the holy child; his long lost daughter, Lorraine ( Maureen O’ Sullivan, aka Tarzan’s Jane). This is yet another frequently used Browning subplot of a severed father/daughter relationship. 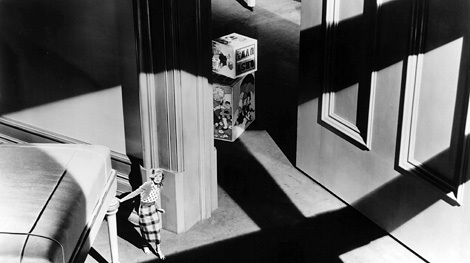 What makes The Devil Doll unique is the science fiction angle and a female mad scientist in Ottiano (who has an Elsa Lanchester like streak in her hair). 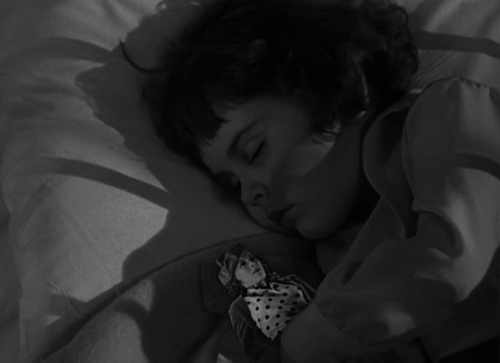 By the time of The Devil Doll, Browning was comfortable with the sound medium and the film benefits from this, fluid camera work, and the charmingly rudimentary fx for the incredibly shrunken people. As Lavond, Barrymore delivers a subdued, controlled performance. 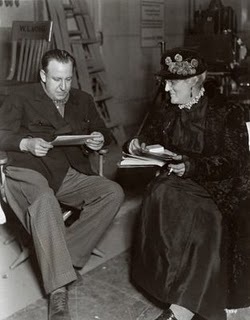 In drag, Barrymore raises the ham meter considerably. 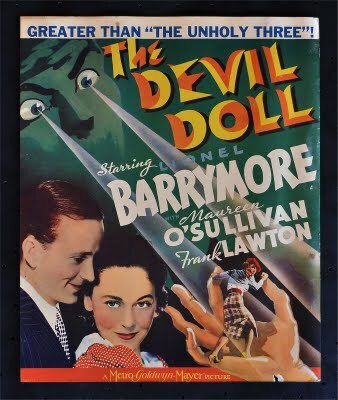 Although a sympathetic character, Barrymore conveys genuine creepiness in the revenge scenes as he exacts his will over the dolls with intense concentration. Ironically, to proves his innocence Lavond must again go into exile at the film’s end and must forever forsake his daughter. 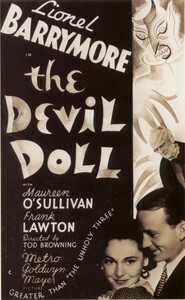 The Devil Doll is a surrealist delight in its sheer lunacy, put over as unmitigated dogma. 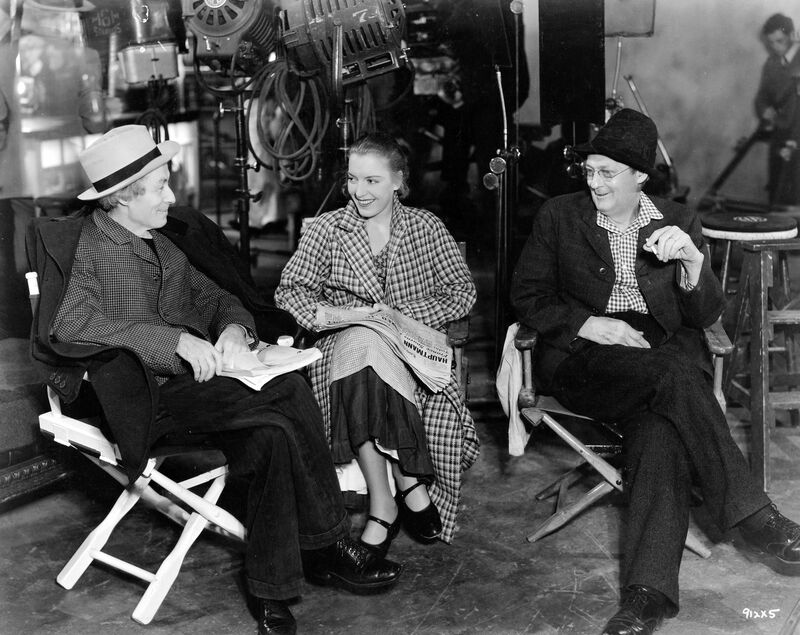 This entry was posted in Film Reviews and tagged Tod Browning by Alfred Eaker. Bookmark the permalink.